Waking up in the morning during a light sleep stage is a more pleasant experience than waking from a deep sleep stage. When Thim senses you’ve entered a light stage of sleep – Thim will wake you up. Did you know that if you are awoken during a light stage of sleep you will feel more refreshed, energetic, and alert? Unlike any other product on the market, the patented THIM wakes you up during a light stage of sleep helping you start your day feeling less tired and groggy. If you set your Smart Alarm for 8:00am, THIM will wake you up sometime between 7:30-8:00. THIM will select your lightest sleep stage to alarm. The Smart Alarm can be used in conjunction with the Sleep Re-training feature. That is, you may undertake 1-hour of sleep re-training between 10pm and 11pm, and then use your Smart Alarm in the morning to wake up. Typical alarm clocks go off at the time you set regardless of what stage of sleep you are in. The deeper the sleep when the alarm goes off, the worse you feel when you are awoken. With THIM you tell it what time you want to wake up, and then select a window of time for THIM to find your lightest stage of sleep to wake you up. Experience the world’s first sleep tracker, which improves sleep. Sleep well tonight and get the most from tomorrow. 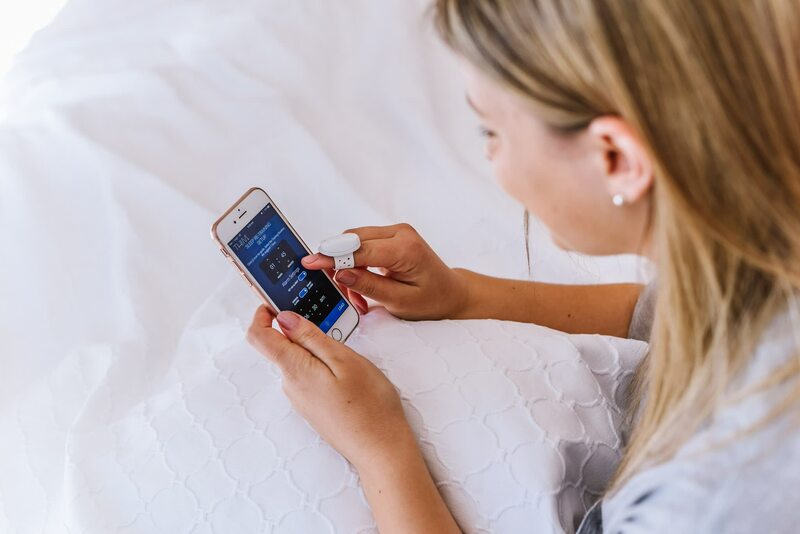 Experience the world’s first sleep tracker, which improves sleep. Sleep well and make the most of tomorrow. © Copyright 2017 Re-Time Pty Ltd. All Rights Reserved. Thim™ is a registered trademark of Re-Time Pty Ltd. The views and information expressed here should be considered as general only, and should not be used for medical purposes.